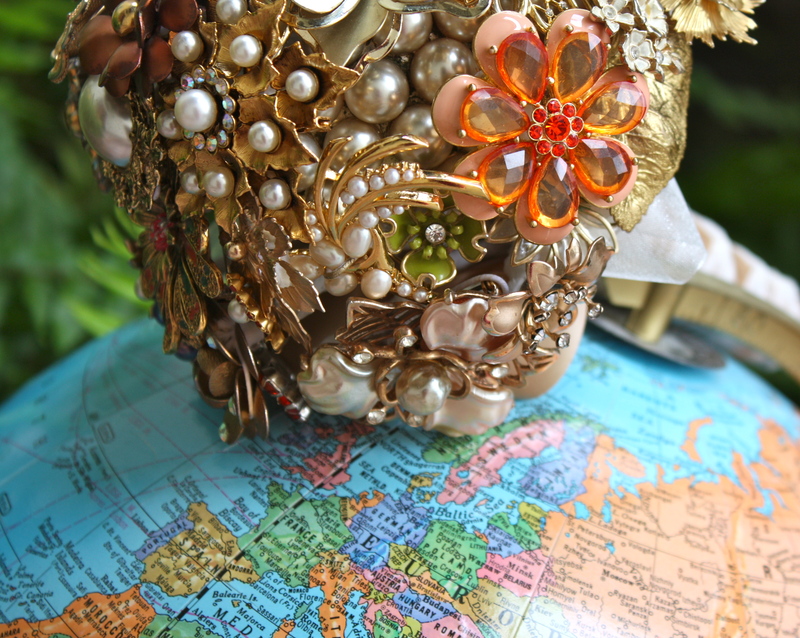 Just a little sneak peek today of my globe trotting Brooch Bouquet. This bouquet was commissioned by the brides mom as a surprise… There is a great story of adventure behind this Gibraltar wedding. Stay tuned for all the details and photos. I am the bride that got to use that fabulous bouquet pictured above! I am going to blog about the gift in the coming days. I will send you the link when it’s up. Again, thank you. I couldn’t love it more. I will get to use it again when we celebrate in the States next October 13th. 1 bouquet – 2 Weddings – Twice the fun! Kristen, How fantastic to hear from you… I am so happy that you loved the surprise! Your mother and her excitement made it a fun bouquet to create. I look forward to hearing the sweet details. Congratulations to you and your Spaniard! Here is the link to my post about the bouquet. Thank you again!